Test shoots are a great way to get experimenting! 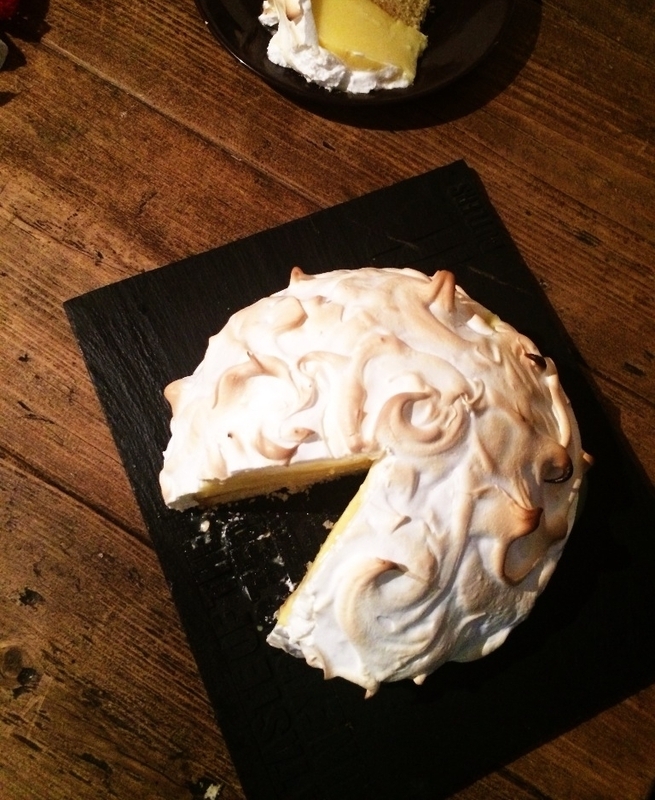 Baked alaska, come lemon meringue pie, come a cheeky dash of Italian Liqueur. This was one of those ideas that sounded great on paper but would it actually work?! The answer is thankfully, yes! 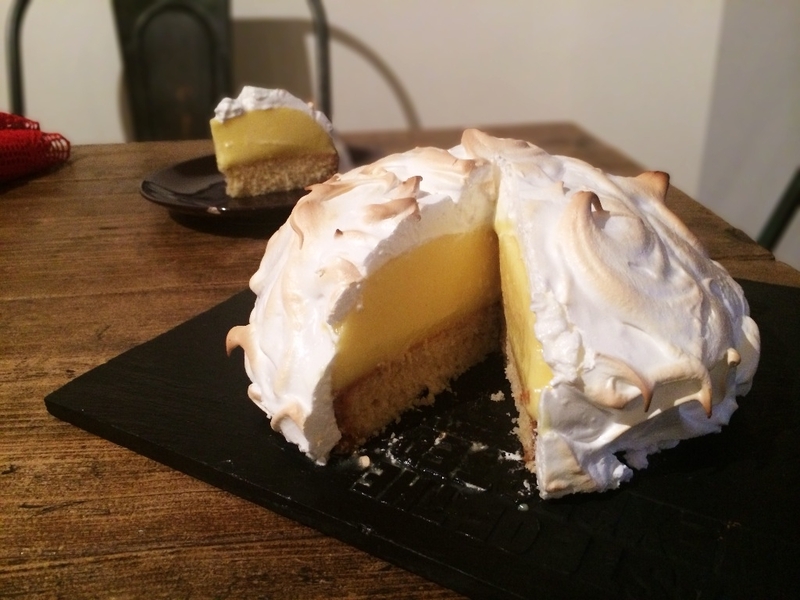 The best bit is, you can prepare the sponge and lemon lemon layer way ahead. I can’t wait to see it when proper food photographer, Adrian Lawrence gets his hands on it! 1 Grease a 1L Pyrex bowl with oil, then line with cling film, so the edges hang over the sides. 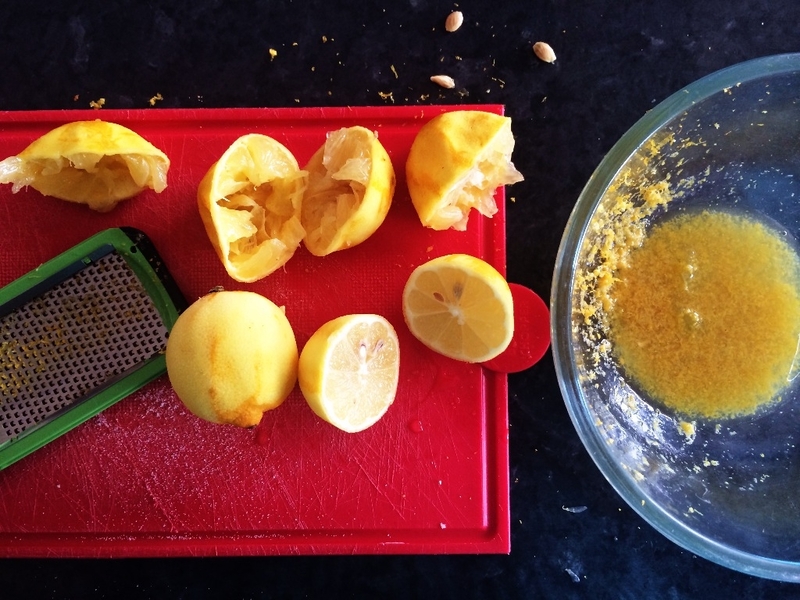 Squeeze the lemon juice into a small microwavable bowl and add the lemon zest. Add 175g of the butter and 175g of the caster sugar. Mix well. 2 Soak the gelatine leaves in cold water for 5 mins. 3 Meanwhile, heat the lemon mixture in the microwave on full power for 3 mins, stirring every 30 seconds, until the butter and sugar has melted. 4 Gradually add 4 beaten eggs, whisking continuously. Microwave on full power for a further 1 1/2 mins. Whisk well. Allow to cool for 1 minute, then return to the microwave and heat on full power for a further minute. Whisk well. Remove 3tbsp of the mixture, cover, and set aside. 5 Squeeze out the excess water from the gelatine leaves and place in a measuring jug. Pour over 200ml of just boiled water. Stir until the gelatine has dissolved. Top up with 150ml cold water. Gradually pour into the lemon mix, whilst continuously stirring. Stir in the limoncello, if using. Pour into the lined Pyrex bowl. Chill for at least 4 hours, until set. 6 For the sponge base, preheat the oven to 170’C, 150’C fan, gas 3. Grease and line an 18cm loose-bottomed sandwich tin. Beat the remaining butter with 115g of the caster sugar. Add 2 eggs one at a time beating well in between each addition. Fold through the flour and baking powder. 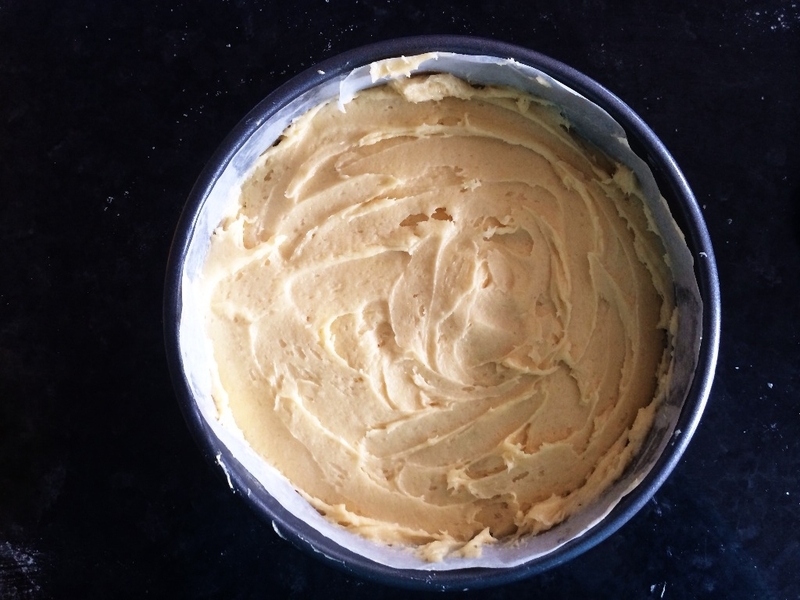 Spoon into the prepared cake tin and bake for 25 mins. Cool in the tin on a wire rack for 10 mins. Remove from the tin and allow to cool completely on the wire rack. Level the surface with a serrated knife. 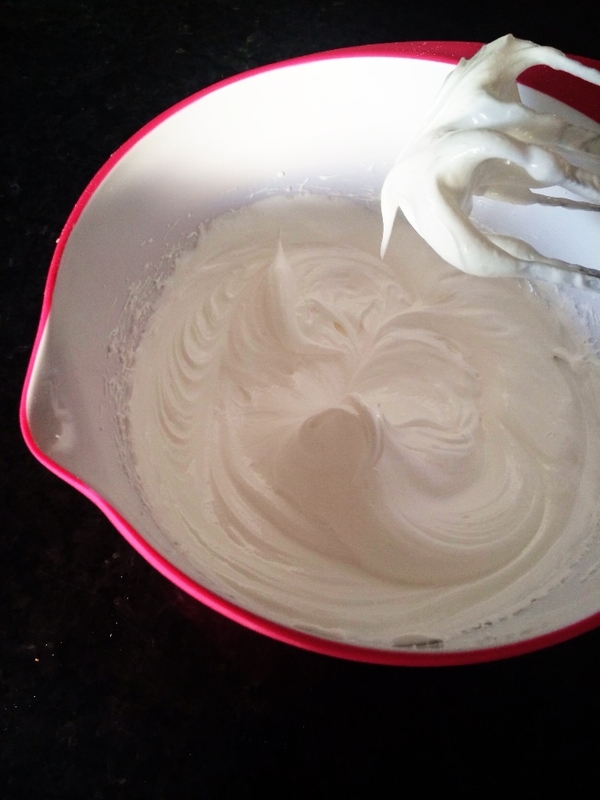 7 For the meringue, using an electric hand whisk, whip the egg whites until medium peaks form. Gradually trickle in the remaining sugar whilst continuing to whisk until stiff glossy peaks form. 8 To assemble, preheat the oven to 230’C, 210’C fan, gas 8. 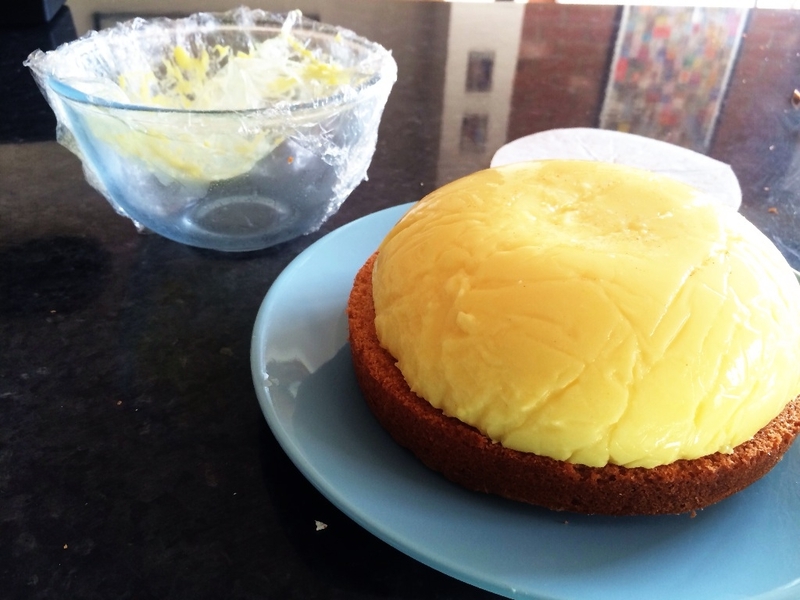 Spread the top of the cake with the 3 tbsp of the reserved lemon curd mixture. Then invert the bowl of set lemon jelly on top of the cake. Transfer to a flat baking sheet lined with baking parchment. Spoon over the meringue in swirling motions ensuring the jelly and sponge is completely enclosed. Bake for 4-6 mins until golden (for maximum control use a cooks blow-torch). Remove from the oven and chill for 20 mins to firm up before serving. #36 FOOD NEWS: Costa v’s Poundland! They say (whoever ‘they’ are), we’re shopping around more for our weekly food shop to find the best deals. With that in mind I thought I’d do this for my somewhat Britalian treat. I love a little sit-down in Costa with a large cappuccino and the Victoria sponge-style Mini lemon and raspberry cake. At £2.65 for the cappuccino and £2.50 for the cake, this *cough, cough* little treat is more of a whacking great, big, fat indulgence. So I took a hop, skip and a jump over to neighbouring Poundland. Oh my! Here’s what a found! That’s 20 Poundland cups of coffee and 20 slices of cake for my £5.15!!! I think this could be the start of a beautiful friendship… tinned tomatoes, McVities Cheddars, Jayne Asher cake-pop holders, cupcake boxes, cake boards, *high visibility vests … Hhumm perhaps I should get back to Costa before I spend £10 on stuff I don’t need!